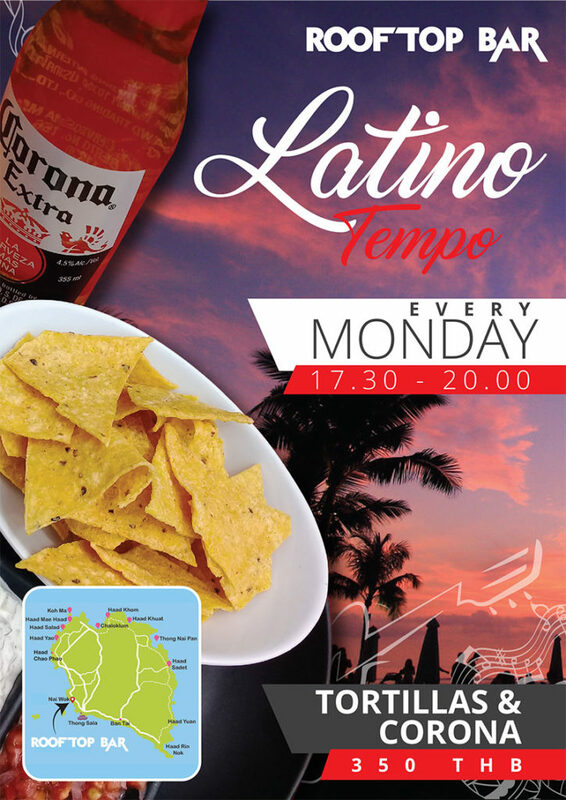 Every Monday, join us at Roof Top Bar from 17.30 to 20.00 for a special Latino Tempo evening, get a Corona with tortilla for 350 THB only! 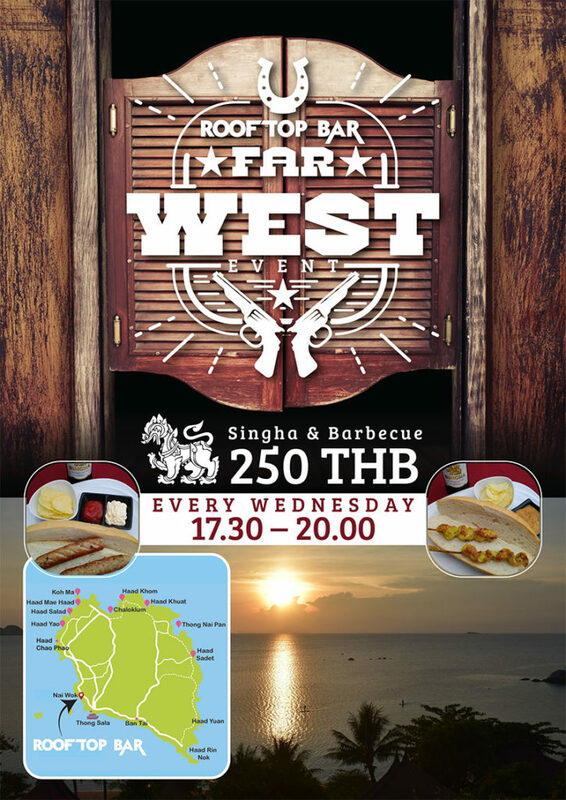 Also, do not forget our Far West evening, special offer for a Singha Beer & Barbecue skewer for 250 THB, every Wednesday same time. 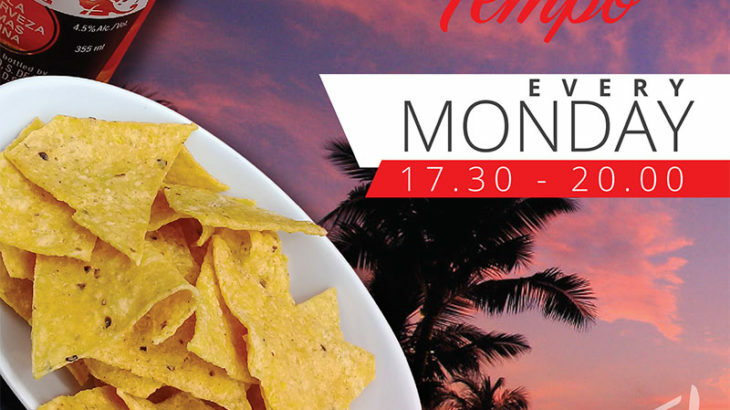 It will become your favorite place to enjoy sunset in a cozy atmosphere, listening music and chilling on our Thai traditional mattress, the roof top bar is open every day from 17.30-20.00.